This month, we invite our visitors and guests to join us in honoring Ketchikan’s own civil rights activist, Elizabeth Peratrovich. A member of the Tlingit nation, Peratrovich’s dedication to Native American civil rights began early when signs that read “No dogs or natives allowed” were commonplace. Peratrovich’s courage, tenacity, and passionate testimony about her children, her friends, and her own experience with racial discrimination were instrumental in obtaining the passage of the territory's Anti-Discrimination Act of 1945, which was also the first anti-discrimination law in America. 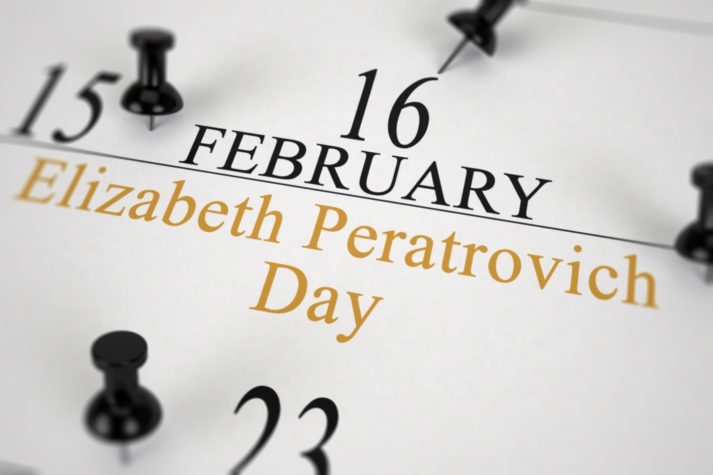 In 1988, the Alaska Legislature proclaimed February 16 “Elizabeth Peratrovich Day.” Since then, a myriad of awards, parks, buildings, and monuments have been named in her honor, along with a theater here in the Discovery Center. She is also the topic of a documentary entitled “For the Rights of All: Ending Jim Crow in Alaska,” and a book (co-written by her son) titled “Fighter in Velvet Gloves: Civil Rights Hero Elizabeth Peratrovich.” At the annual celebration on February 16, the Alaska Native Brotherhood and the Alaska Native Sisterhood will use music, dancing, and speeches to portray the ongoing struggle for Alaska Native civil rights at the Southeast Alaska Discovery Center.